As a face mask aficionado, I couldn’t pass up a real anti-aging mask by Advanced Clinicals. 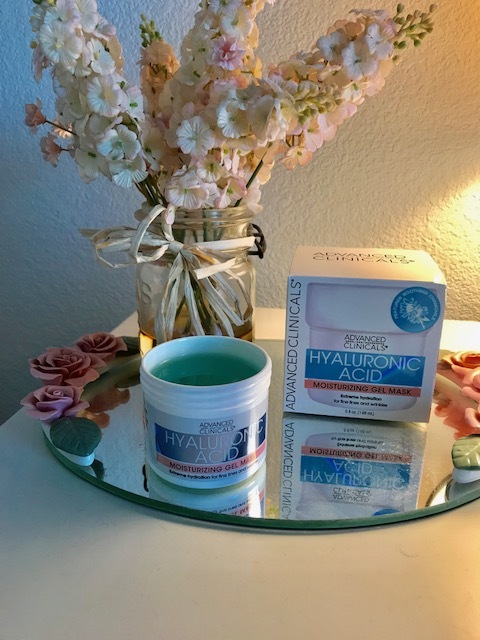 It’s their Hyaluronic Moisturizing Gel Mask and I love it! Advanced Clinicals Hyaluronic Acid Moisturizing Mask utilizes Glycerin, Hyaluronic Acid, Aloe Vera and Algae to maintain youthful skin by improving elasticity and firmness to create a brighter complexion. Plump up the look of fine lines and reduce the look of wrinkles by keeping your skin hydrated and nourished. It goes on nice and cool—very refreshing on the face. Instantly increase skin moisture retention while soothing and reducing dryness for a brighter skin tone. Enhances moisture control for plump and supple looking skin. 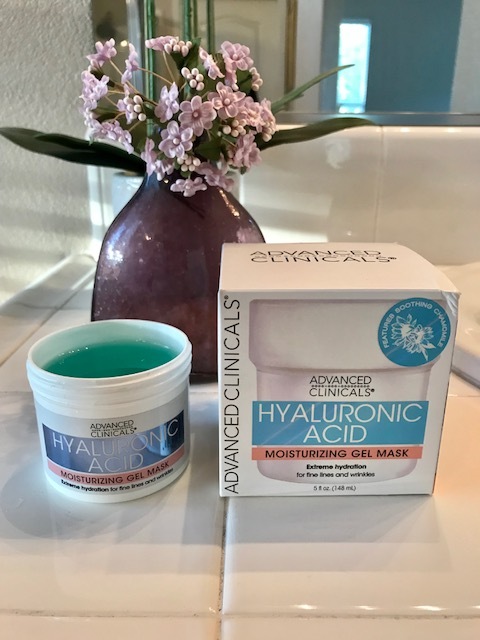 Hyaluronic Acid Mask from Advanced Clinicals will Plump up fine lines and reduce the look of wrinkles, while also providing deep hydration to your skin. Maintain youthful looking skin by replenishing moisture. Use with Advanced Clinicals Face serums and oils for best results! This facial mask is great for all skin types. Packed with great anti-aging ingredients. Contains licorice root, a natural extract that helps brighten your skin to get rid of the look of unwanted blemishes and age spots. Collagen improves skin elasticity and plump skin. Natural chamomile, aloe vera and fruit extracts help moisturize your skin. Instantly increases skin moisture to improve the look of fine lines and wrinkles while improving skin elasticity and firmness. Pure Aloe Vera and Algae soothes skin and reduces dryness for a brighter skin tone. Paraben Free. No Mineral Oil. Manufactured in the USA. I think you’ll really like it. It’s affordable too!